LONDON (CelebrityAccess) — Ticketmaster's UK operation has added three new hires to their regional sales force. According to Music Week, the Live Nation subsidiary added Bonita McKinney, formerly of DHP Family, AMG and Robomagic, to its London offices as a sales exec. McKinney will assist promoters, venues and festivals with the Ticketmaster platform. 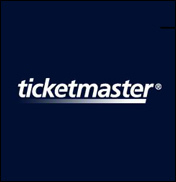 Also joining the Ticketmaster UK team is Holly Watson, who will be based in the company's Manchester offices where she will focus on marketing and promotions. Watson, who had a previous stint with Ticketmaster, more recently held a variety of positions in large-scale events and festivals including the Isle of Wight Festival, London 2012 Olympics and Melbourne Grand Prix.